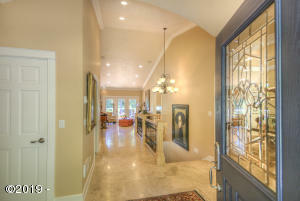 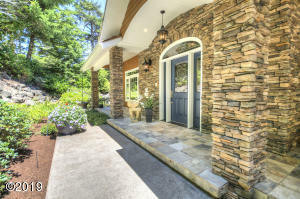 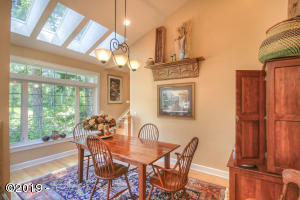 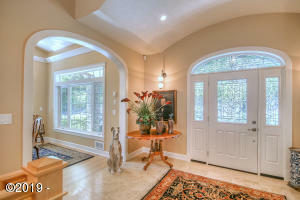 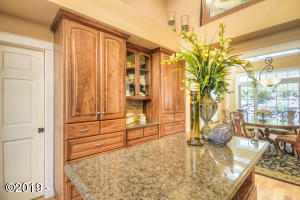 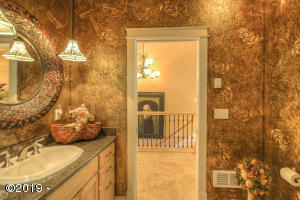 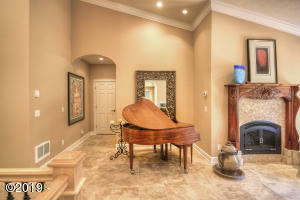 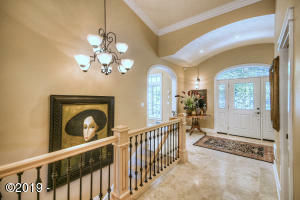 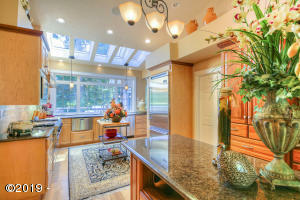 Quality custom built French Country home by well known designer and builder. 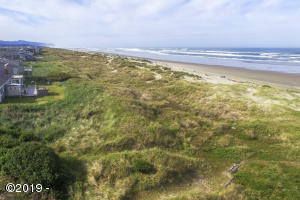 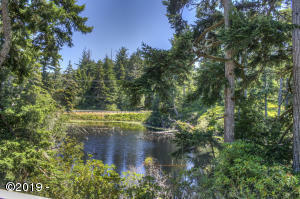 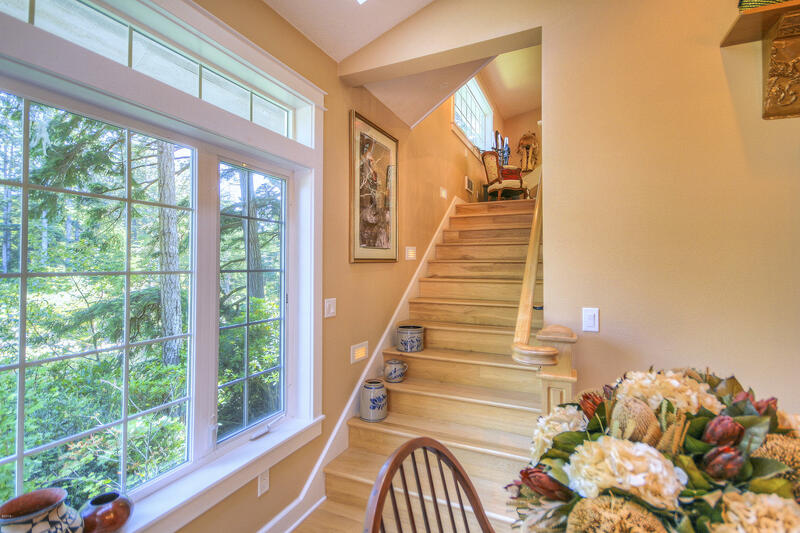 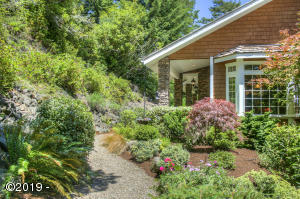 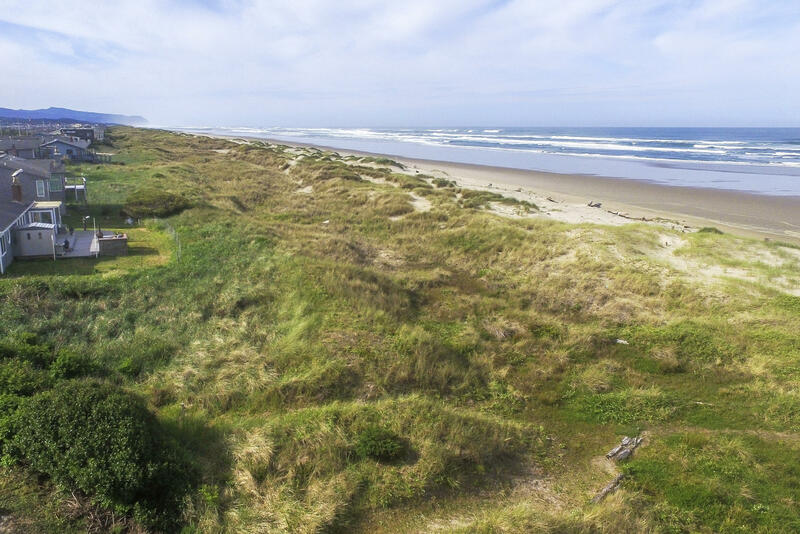 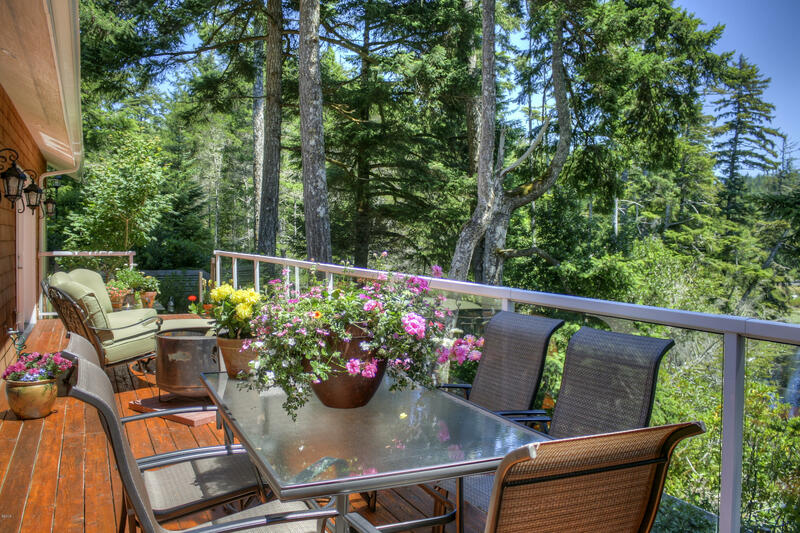 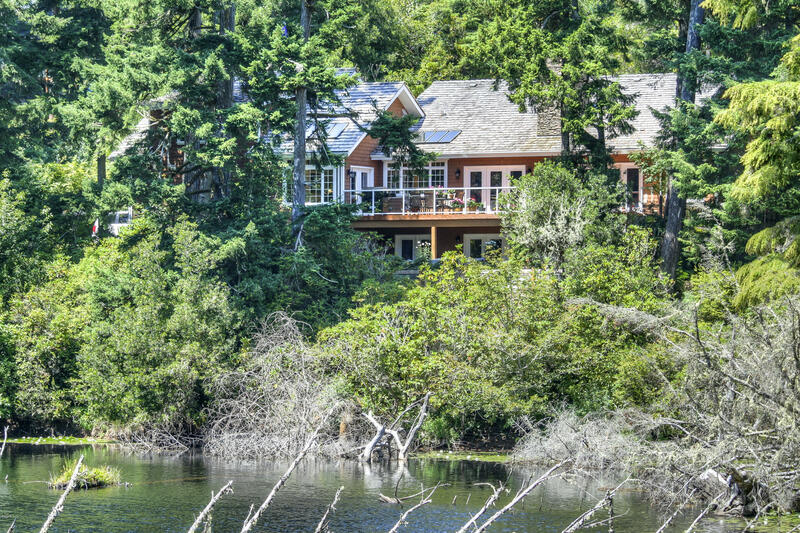 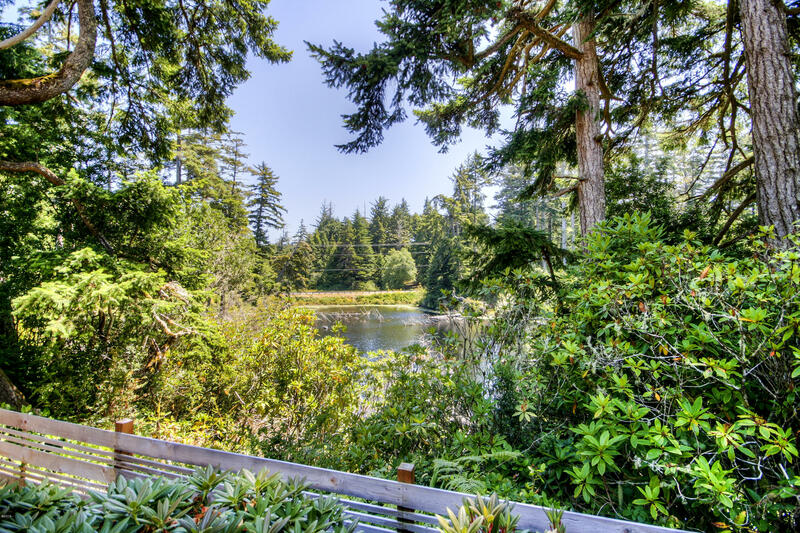 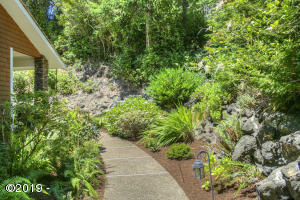 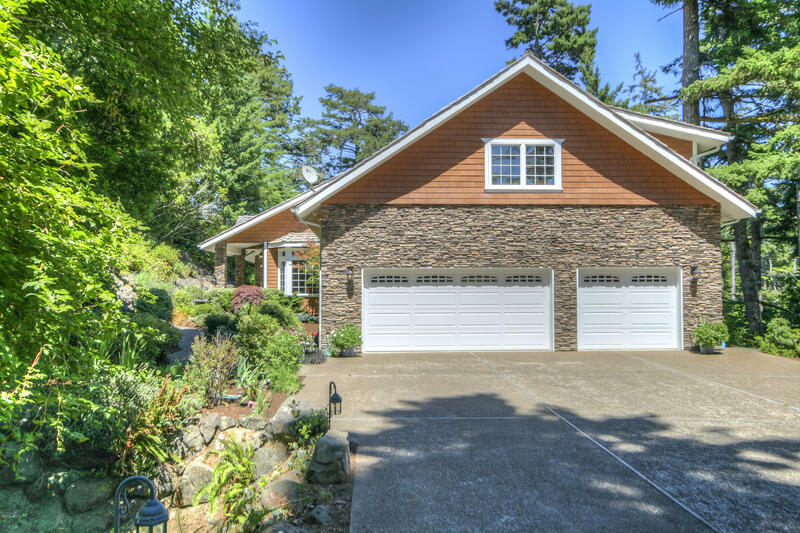 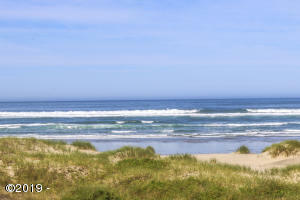 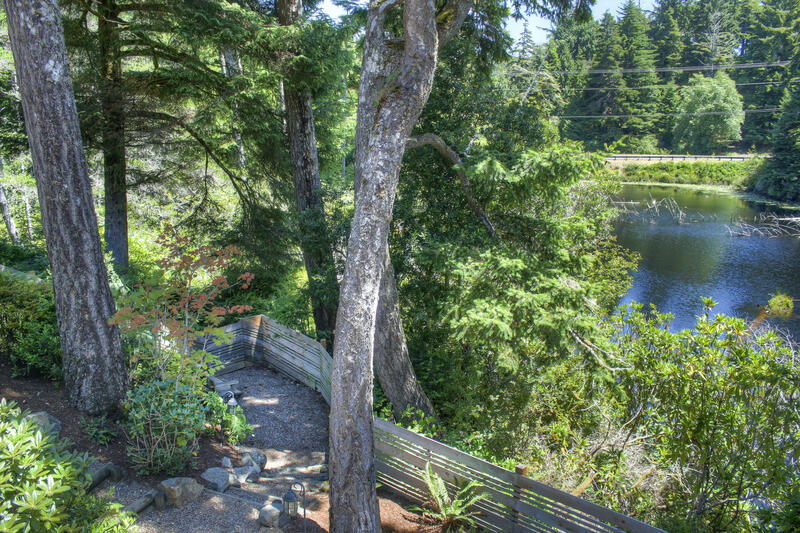 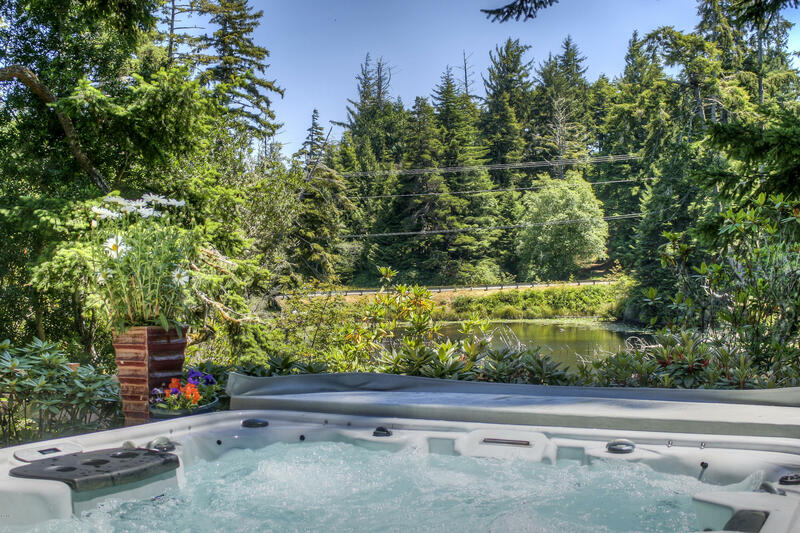 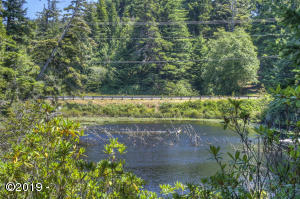 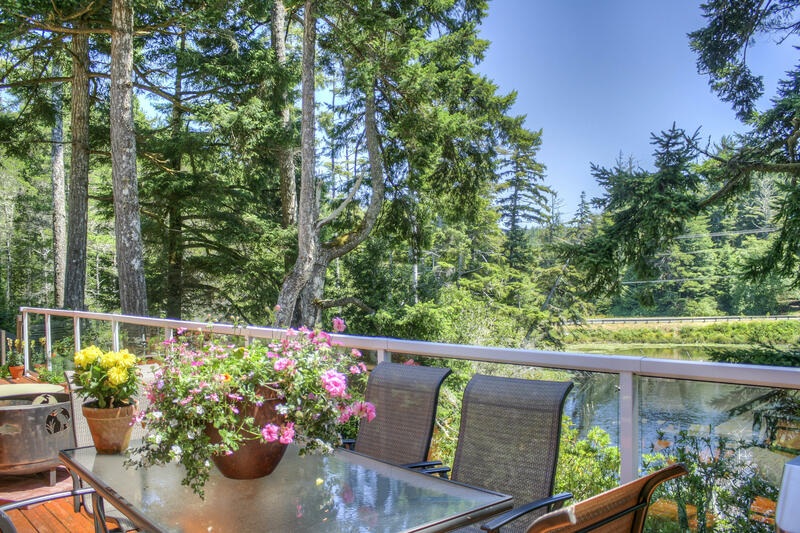 From the moment you enter you will find a home you’ve never seen the likes of on the Oregon Coast. 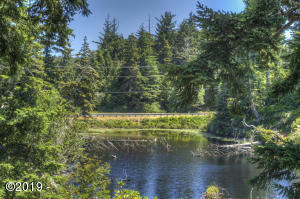 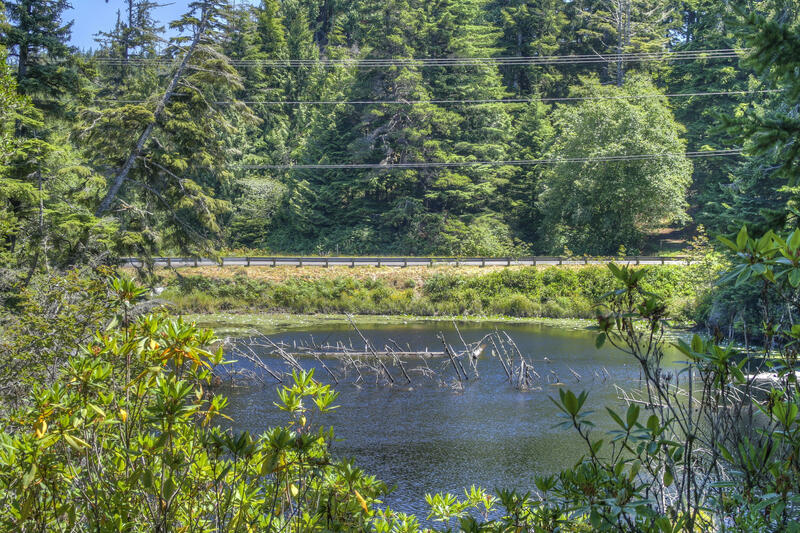 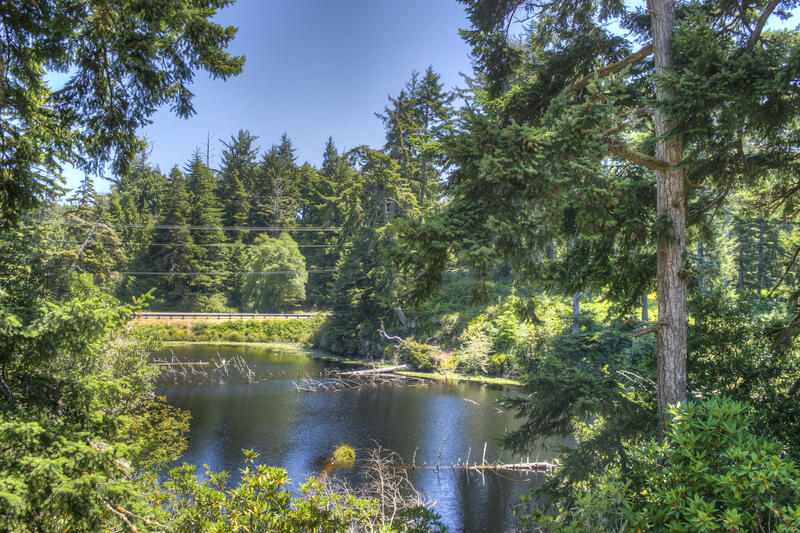 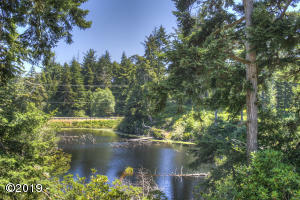 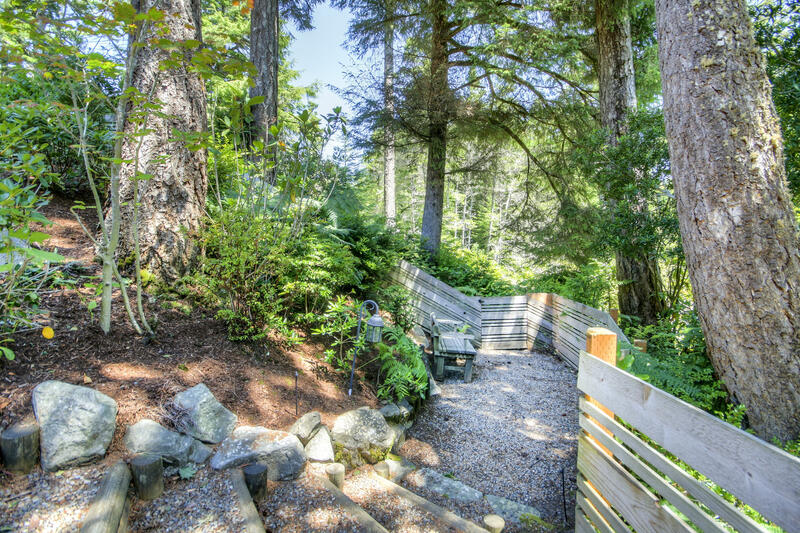 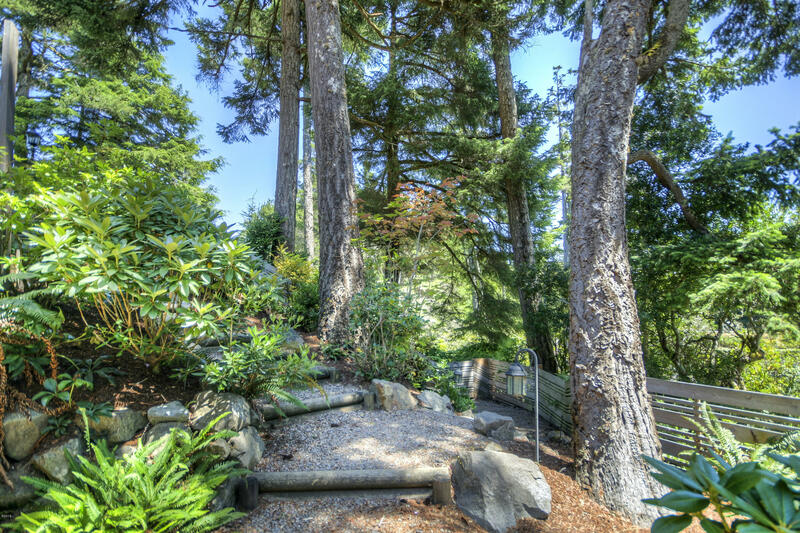 Overlooking fresh water Hidden lake, you will have a front row seat to Bald Eagles occasionally bathing in the lake. 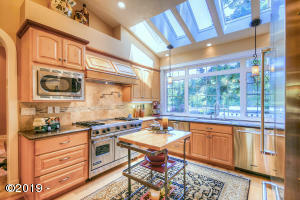 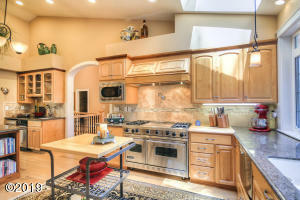 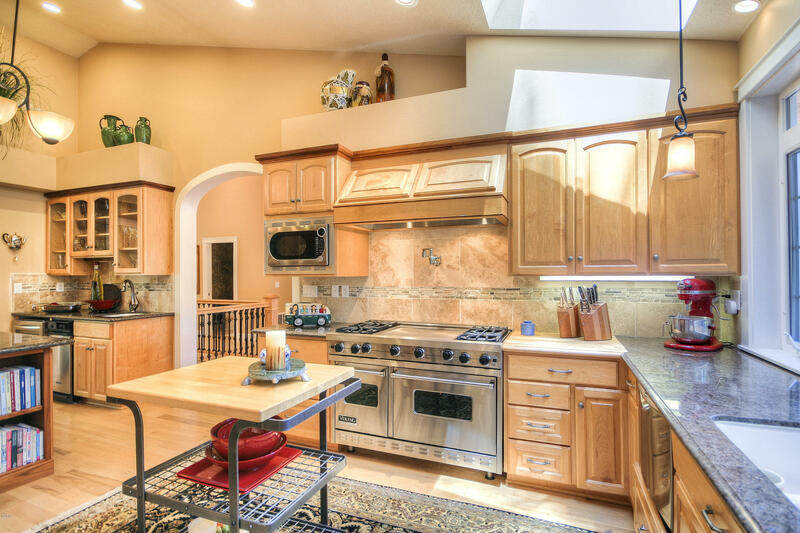 The kitchen was designed for the Gourmet cook, with custom cabinets and high end appliances and cozy kitchen nook flooded with sunlight. 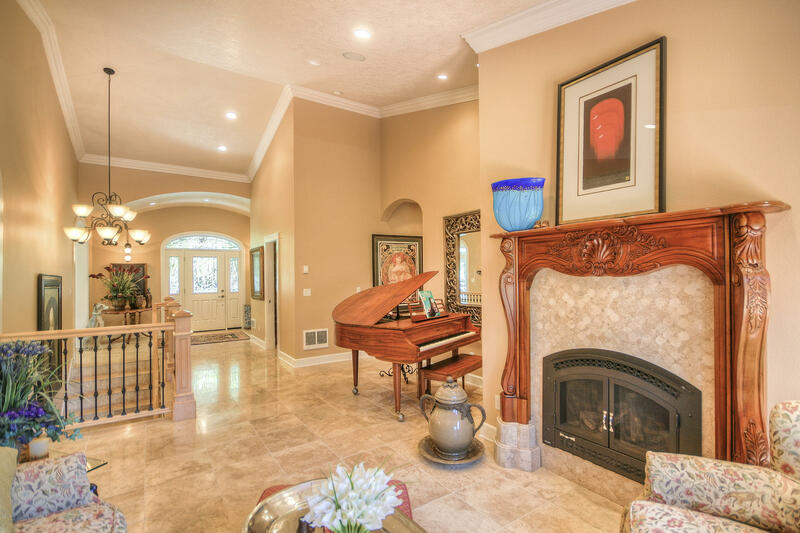 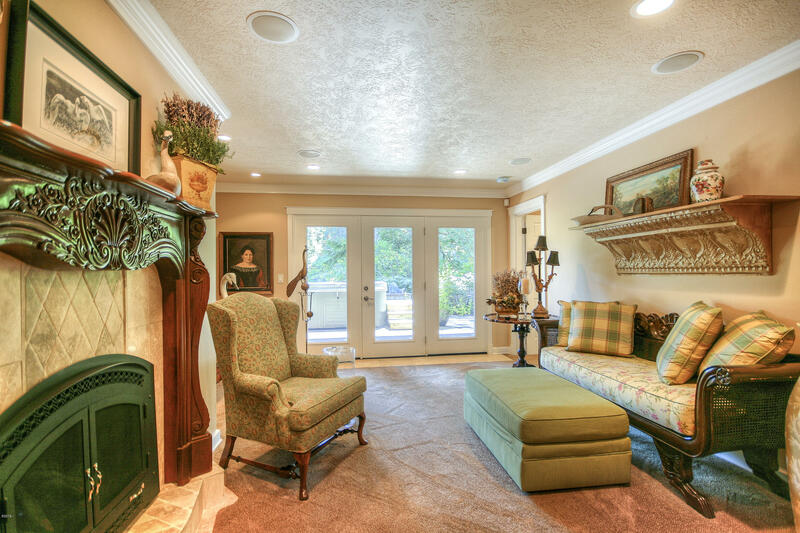 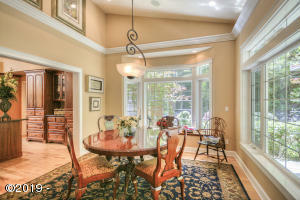 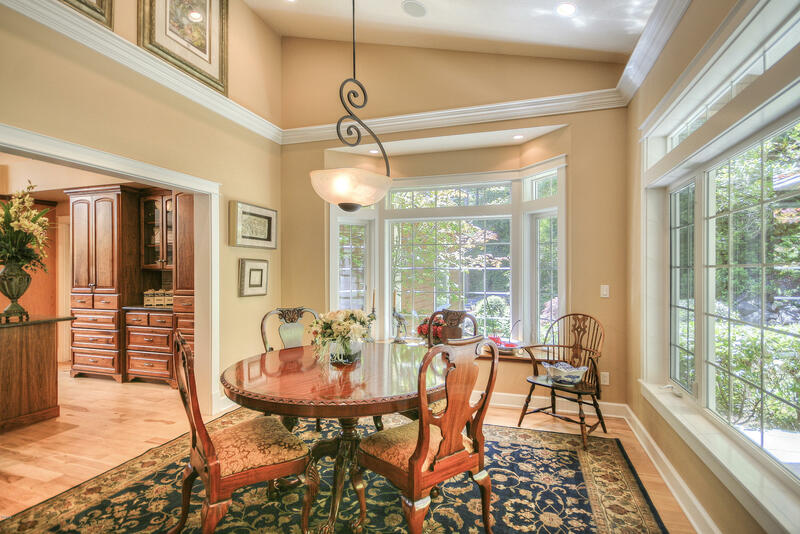 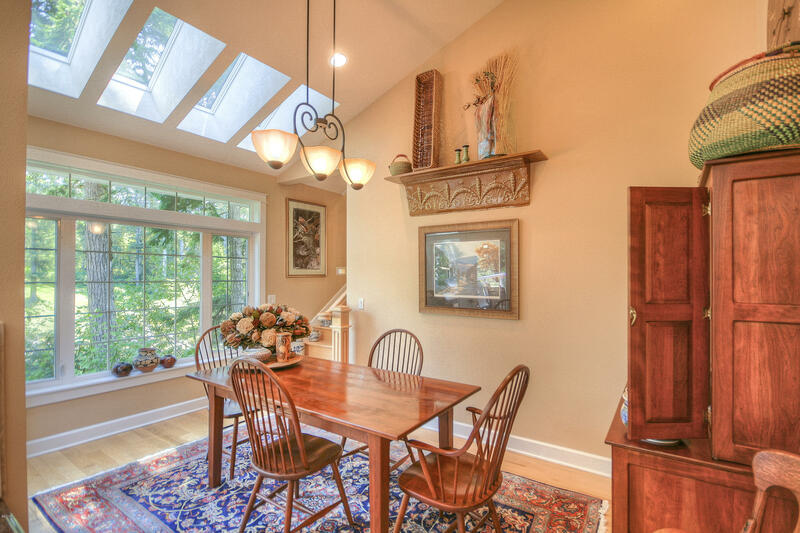 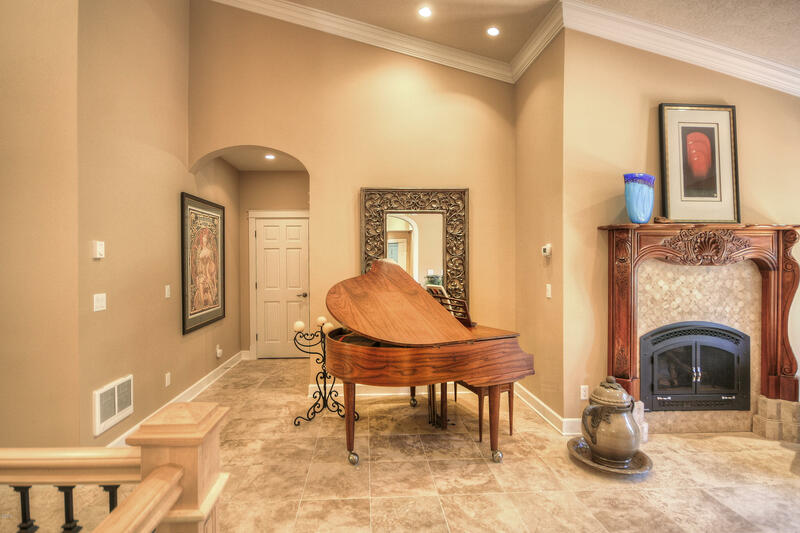 Entertain your guests in the Formal dining and living room with gorgeous fireplace. 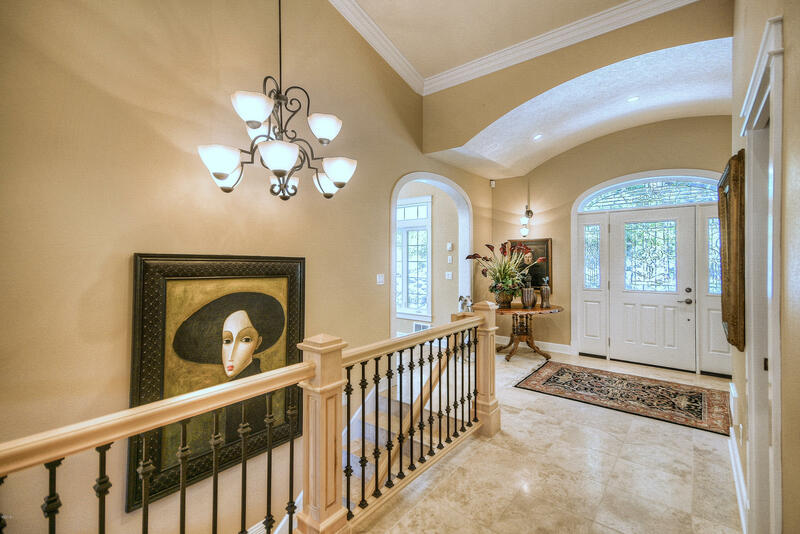 High ceilings expand the spacious 4,455 square foot house. 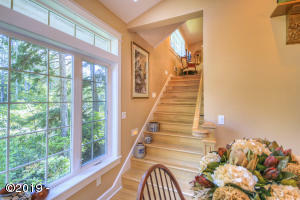 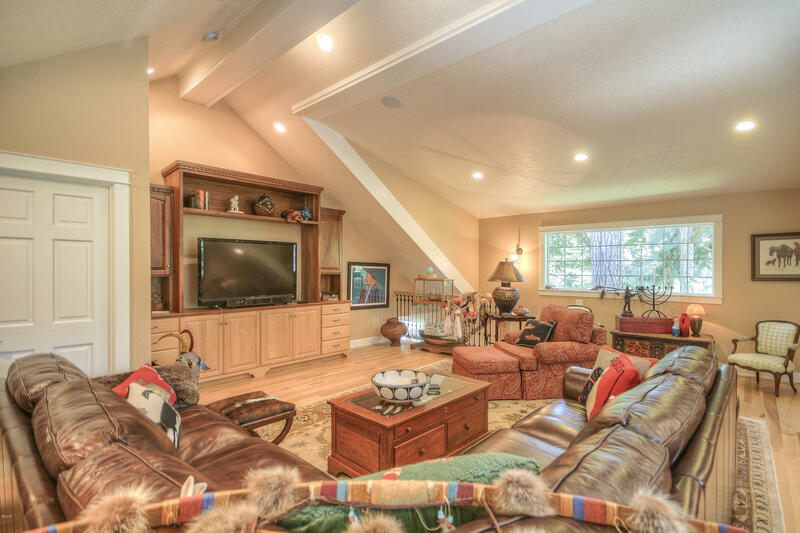 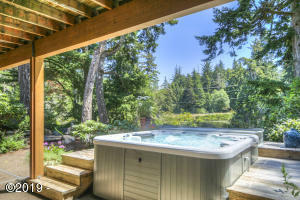 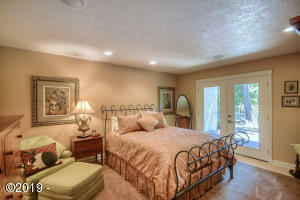 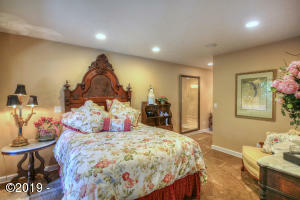 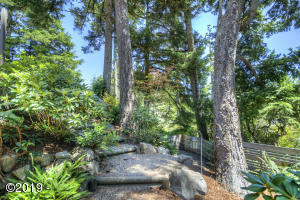 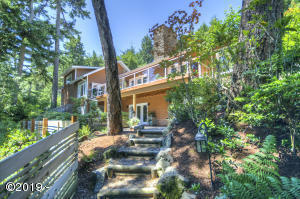 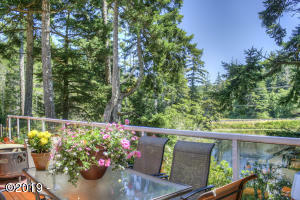 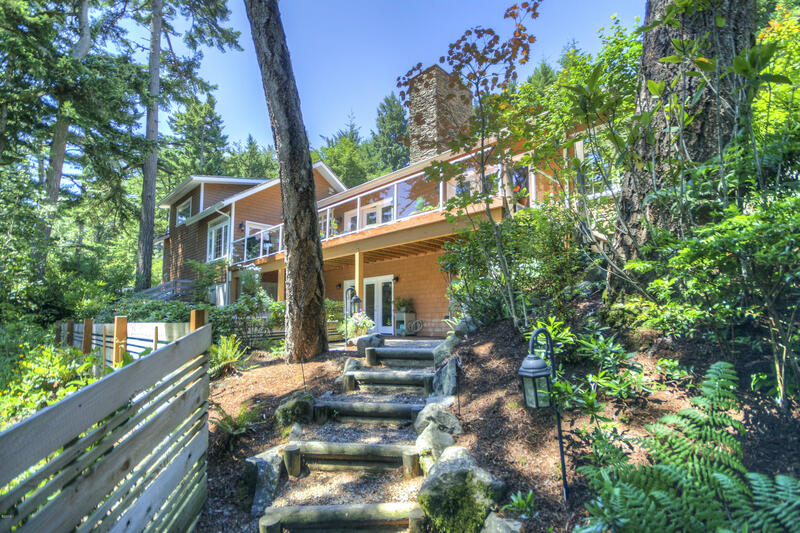 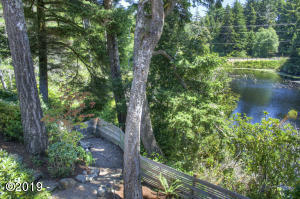 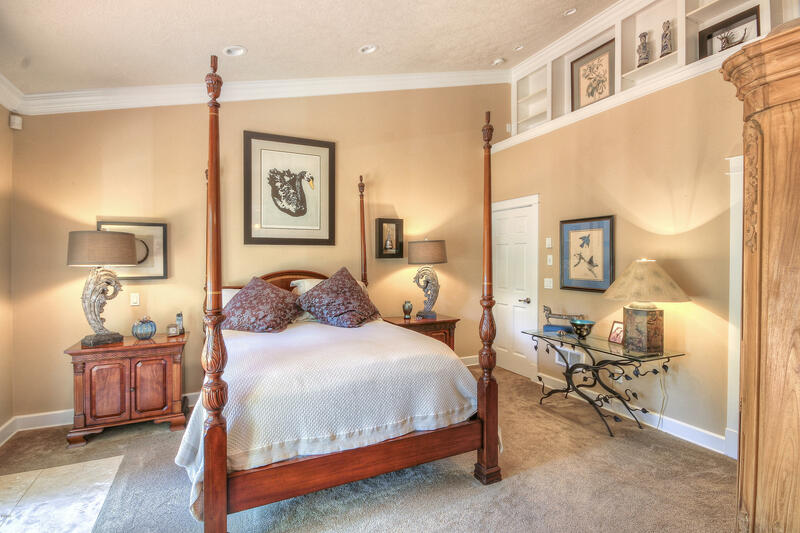 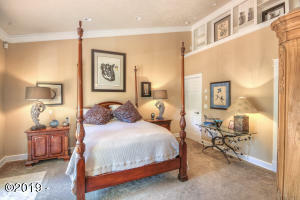 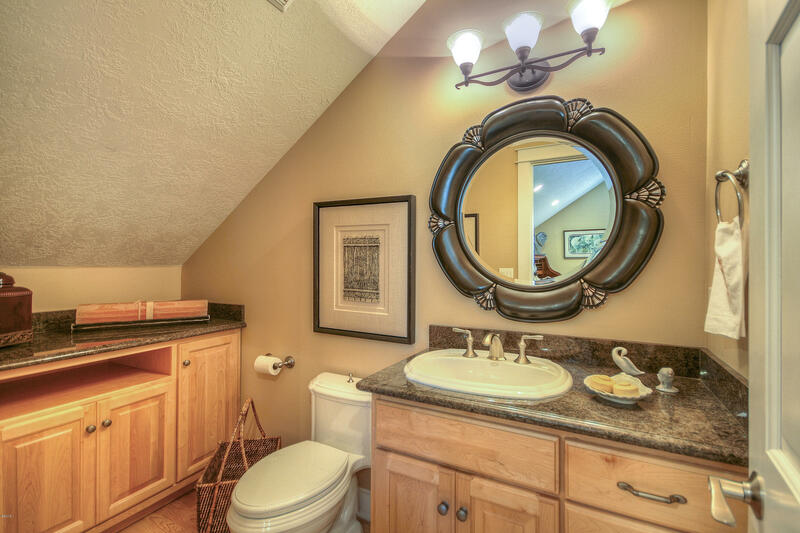 The master on the main has a large walk in closet and view of the lake making the room tranquil and relaxing. 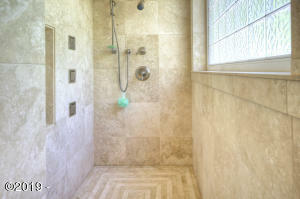 The oversized shower has multi heads for a soft gentle surrounding spray. 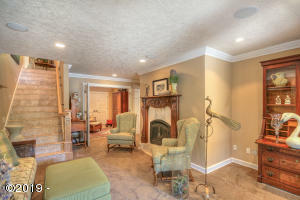 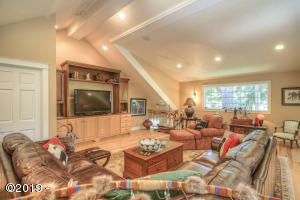 Around the corner from the kitchen is a large media room and half bath. 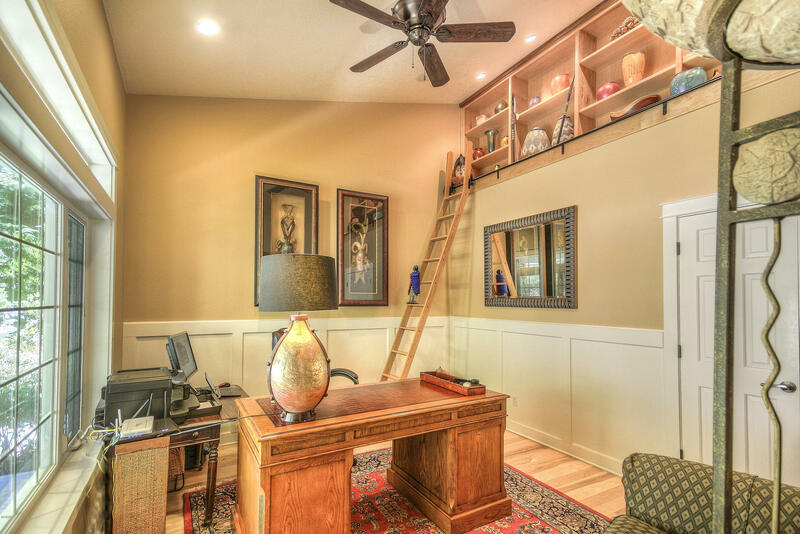 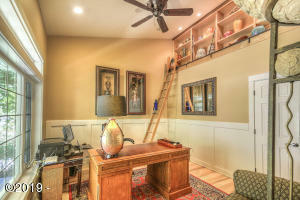 The office has a built in library with ladder for accessing those treasured books you keep tucked away. 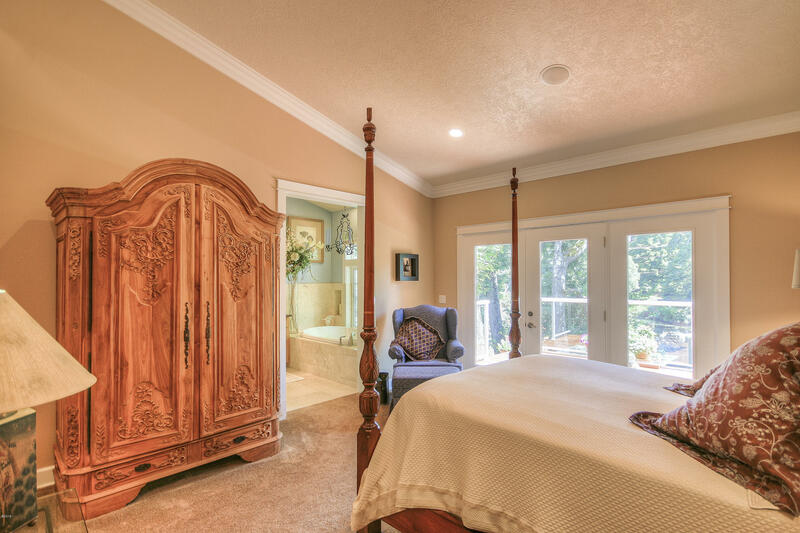 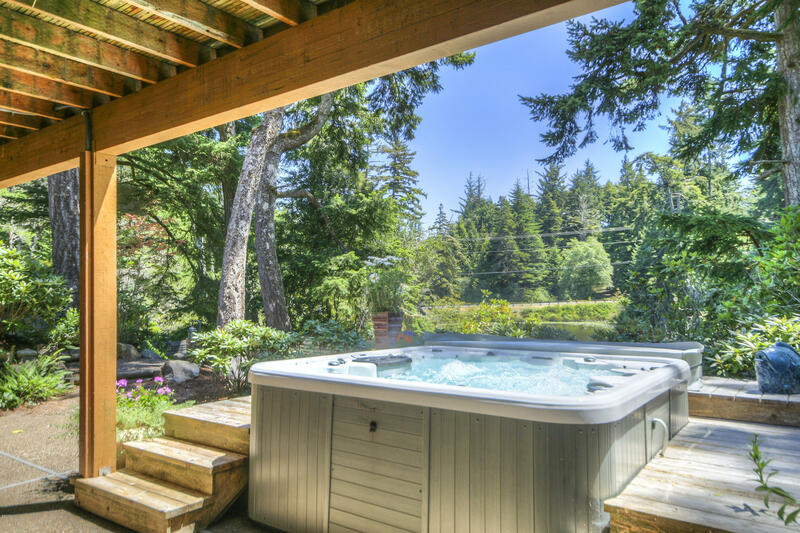 The additional bedrooms and baths located on the lower level with a walk out to a beautiful patio with hot tub from the family room. 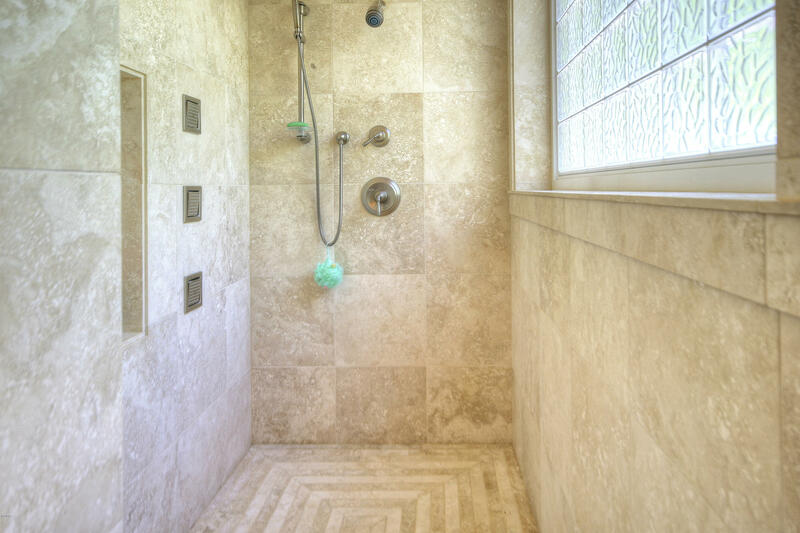 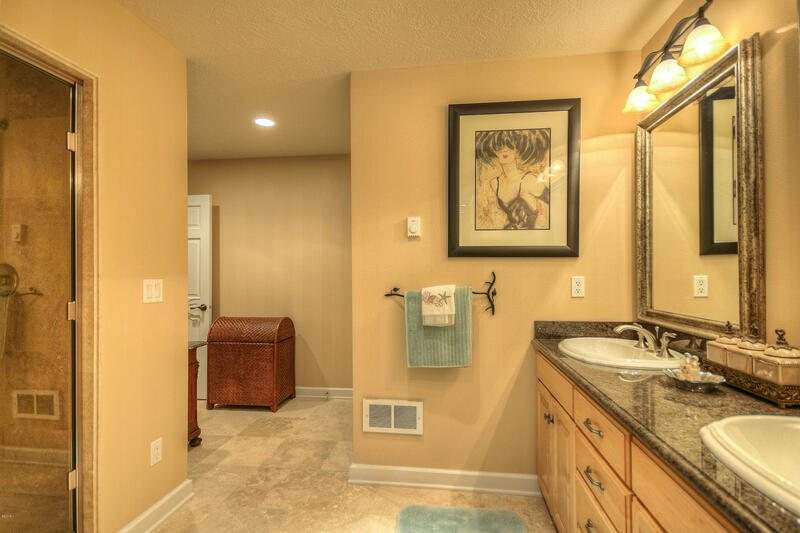 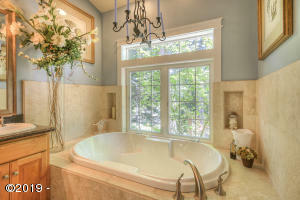 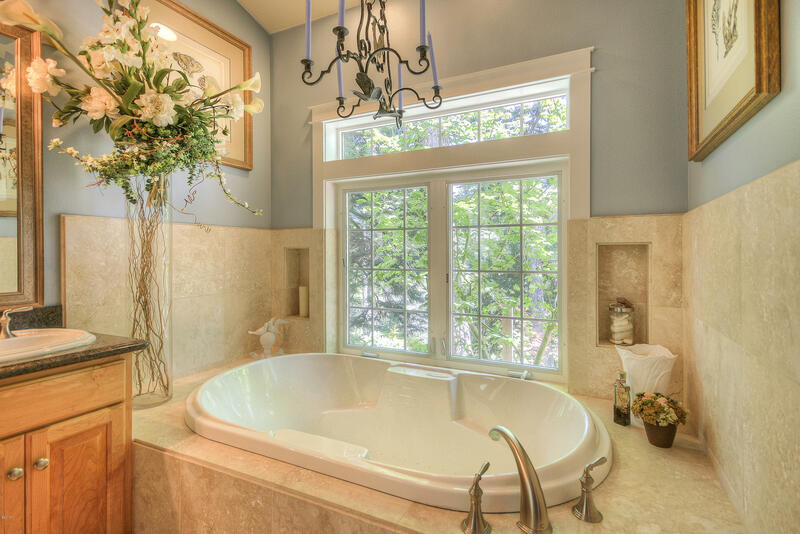 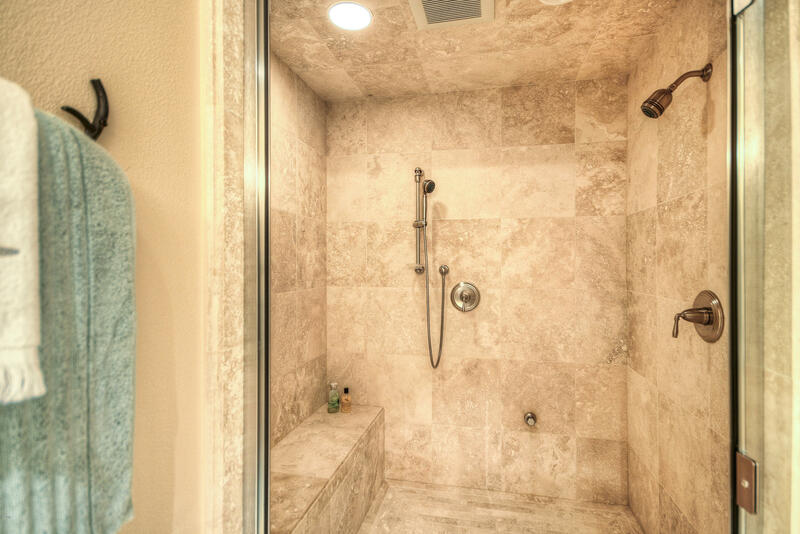 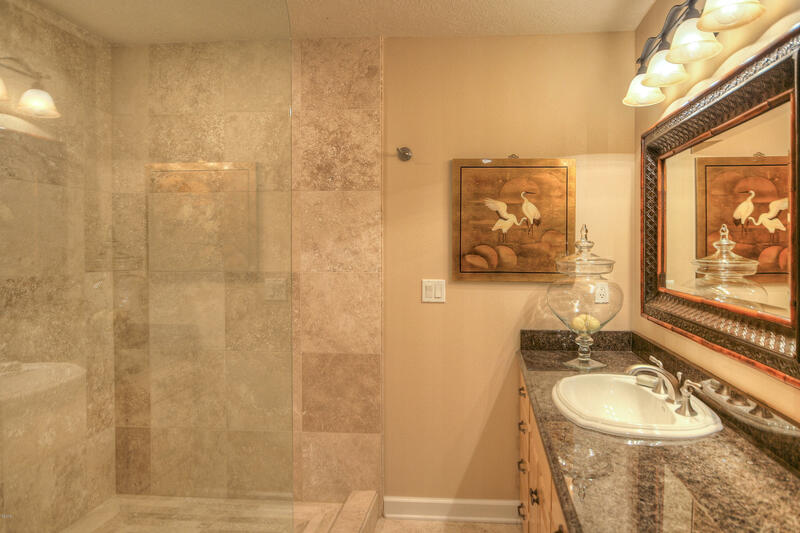 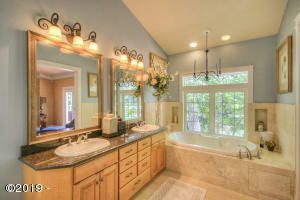 There is a steam shower in one bathroom on the lower level and every bedroom has a beautiful bathroom. 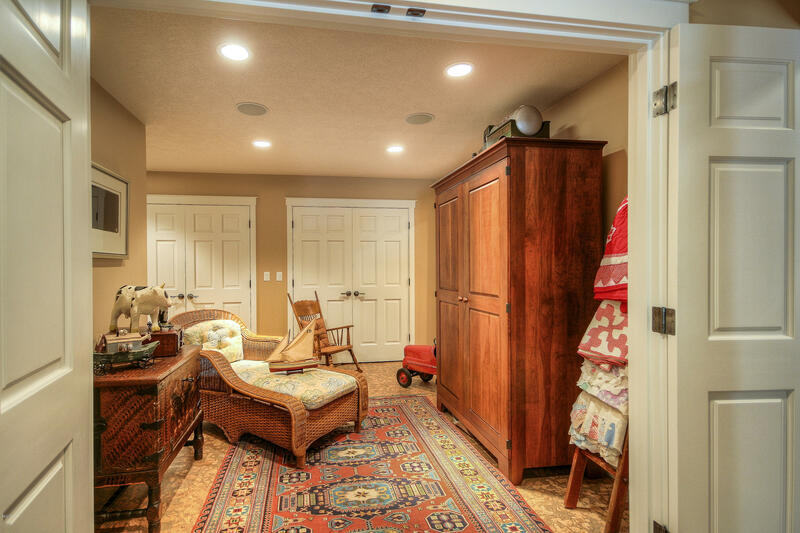 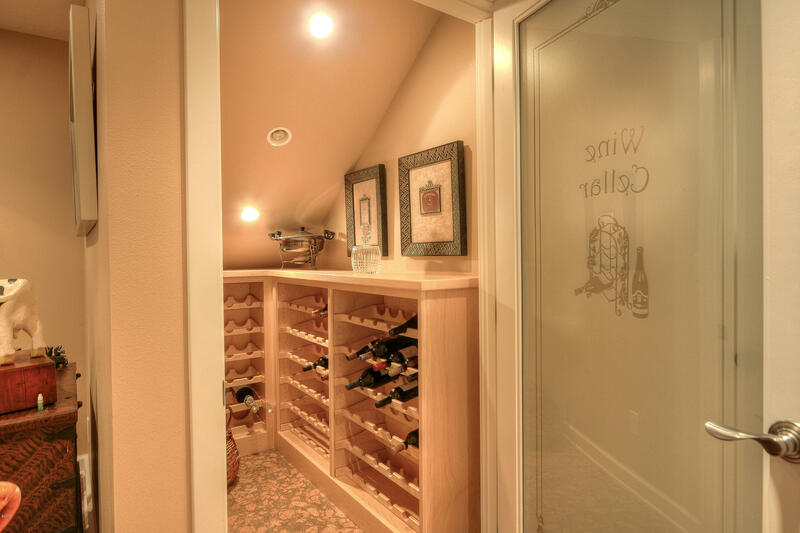 There is also a sewing/craft room with built in storage that will meet everyone’s needs. This house will make you ooh and awe and want to make your own. 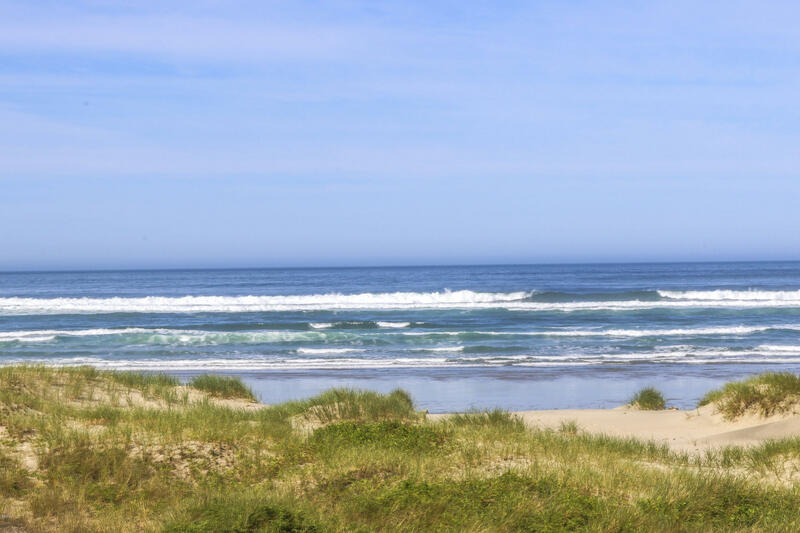 Directions From Highway 101 north of Waldport, go west on Sandpiper Dr. , then left on Fircrest, then quick left on Fircrest Way. 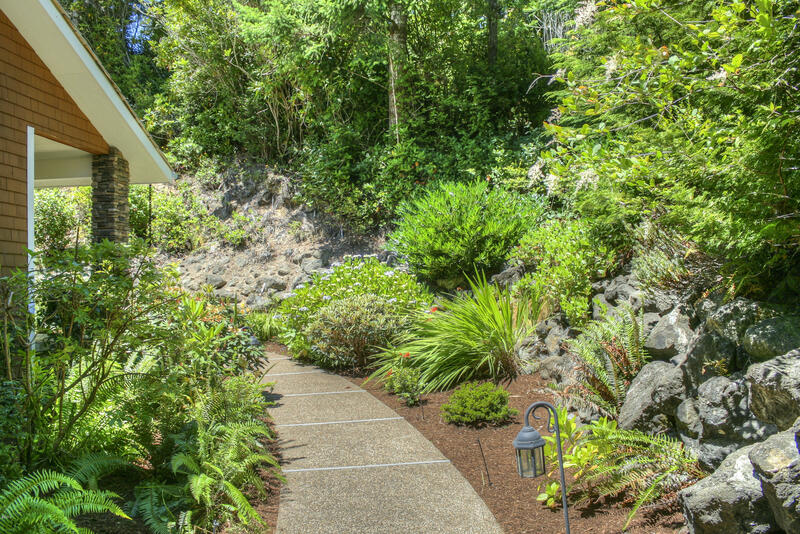 First driveway on the left.